Quarda WSF (AHR 26151-00) is an Austrian imported mare who was GOLD classified in Austria before being imported into the United States. She bears the Edelweiss brand on her left hip as a testament to her heritage. Quarda is sired by Afghan II. Afghan II is credited as being the foundation sire for the modern haflinger. He has been an overall World Champion, among other titles. 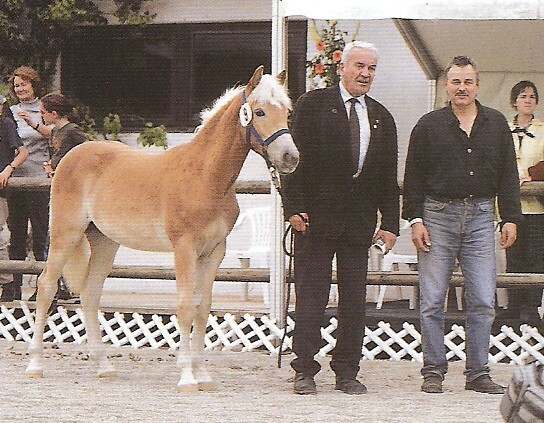 More importantly, he has sons and daughters throughout the world that have greatly influenced and bettered the haflinger breed. Quarda boasts a maternal line that is full of famous ancestry. Quarda was the highest selling filly at the Ebbs sale in Austria in 2000. She was GOLD classified as a 3-year-old in Ebbs and as a 5-year-old, she was imported into the United States by Wingspann Farm. 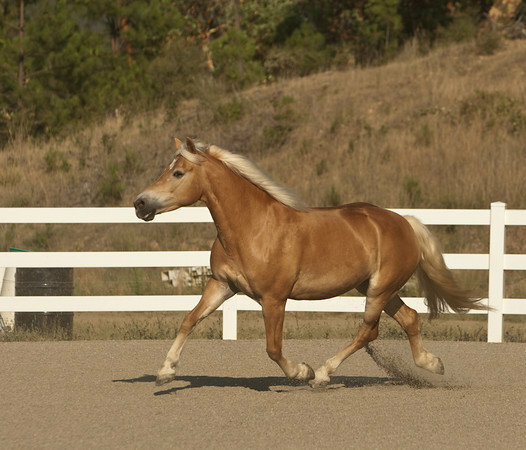 This tall, leggy and modern mare has one of the nicest withers and one of the cleanest throatlatches that we have ever seen on a haflinger mare. Quarda will be bred to our 3-time AHR ‘National Champion Stallion’ and the highest AHR GOLD classified stallion in North America, Alfa of Genesis, for a 2012 foal. This GOLD x GOLD cross promises to be something spectacular!